Part of the Old Rectory, a Holiday Cottage in Central Caldbeck. Sleeps 4. 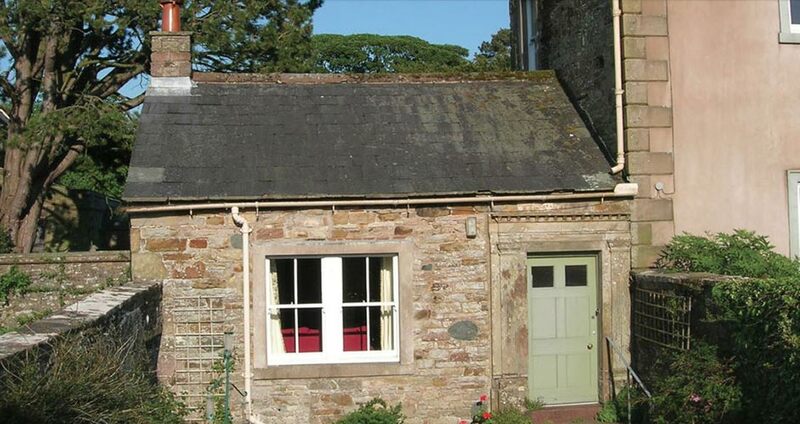 Glebe Cottage is located in the centre of Caldbeck, next door to the Churchyard. 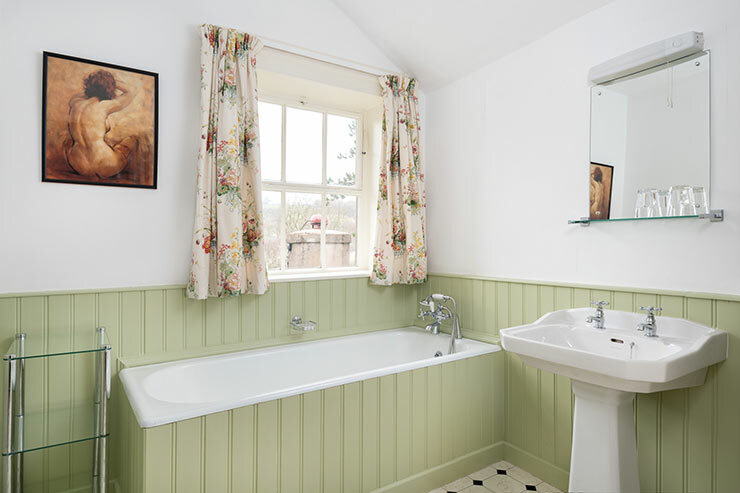 Glebe Cottage is a beautiful self contained 4 star holiday cottage, part of the Old Rectory in the centre of Caldbeck Village, which was rebuilt in 1785. Available for weekly self-catering holiday lets and 3-4 night short breaks. 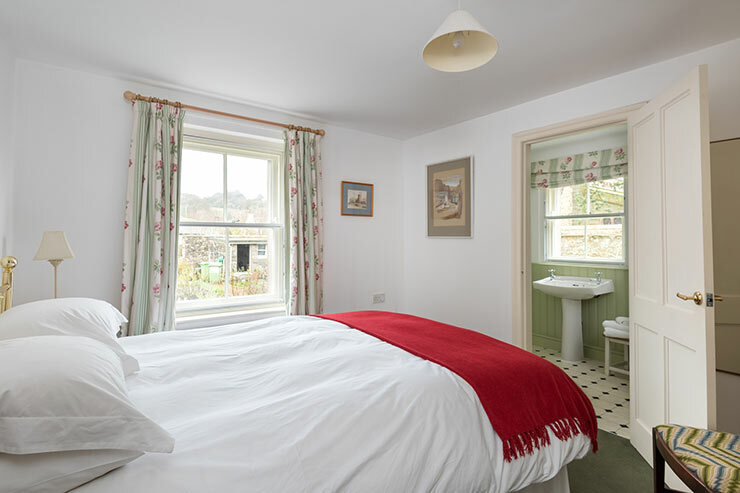 Glebe Cottage itself sleeps up to 4 people. 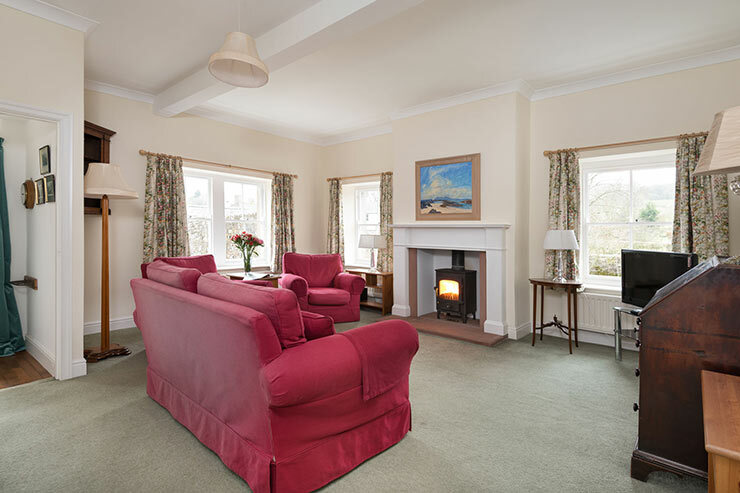 It has a large sitting room, with wood burner and television, a kitchen with both an aga and an electric hob and oven, microwave and dishwasher, and table and chairs. One king sized double bedroom with ensuite bathroom is downstairs. There is also a separate downstairs lavatory and shower room and back door area with washing machine and pulley for wet clothes. 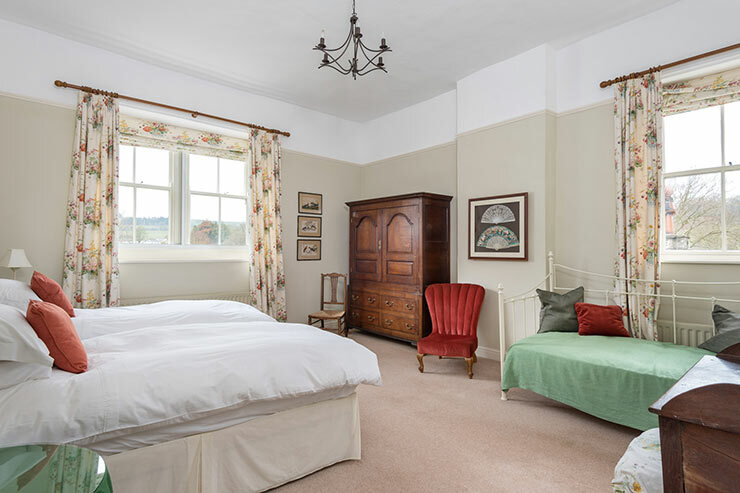 Upstairs there is a large twin bedroom with two single beds and its own bathroom. Outside it has its own small walled paved garden. 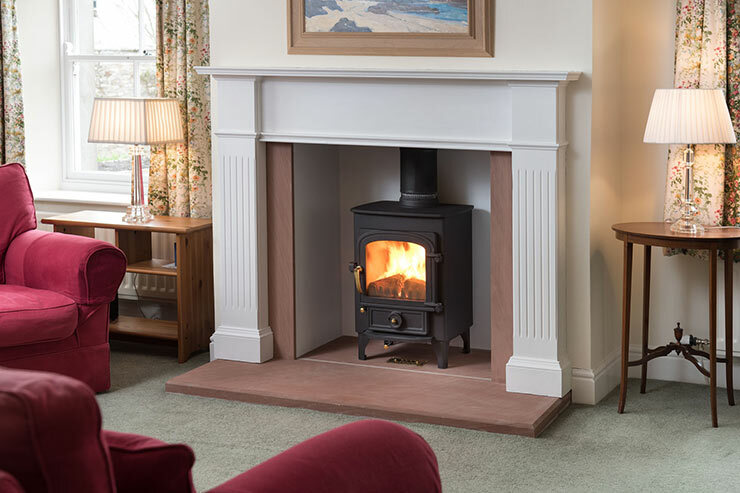 Standards are high - full central heating, unlimited hot water - and it is cosy. Parking is in the grounds of the Old Rectory, and its private gardens surround Glebe Cottage. Dogs are welcome downstairs, if they don't upset George the Old Rectory cat. Short breaks available - please ask for details. Children very welcome. Well behaved dogs are welcome downstairs only. Opening times: Glebe Cottage is open all year including Christmas & New Year. 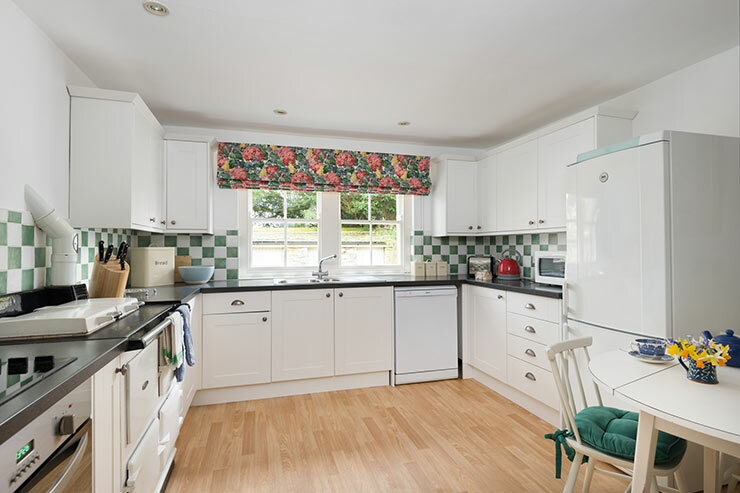 The well appointed kitchen is spacious, with a table and chairs for four people. Aga and separate electric hob & cooker - you can cook a feast if you are so minded! Microwave, dishwasher, fridge freezer, food processor and pans and things galore. There are 3 loos in total, one with each bathroom & the third in the shower room. There is a utility room for wet clothes, and muddy boots, and washing machine. Please remember to mention the Caldbeck area website when you contact Glebe Cottage.